Are you not feeling the power... Let us sort this issue out for you! Here at Fastlane Autocare, we have been offering generator repairs for well over 10 years. In that time we have become accustomed to building site generators and the urgency of getting them back up and running as quickly and efficiently as possible. Our mobile generator repair team have a wealth of knowledge with the likes of gardener and steephill as well as many other generator types including smaller honda generators. We can offer a range of services and repairs on any type of generator you need repairing with many same day services available with our team. Fastlane Autocare knows generators inside out as we deal with generators on a daily basis, including sales and repair. We also specialise in maintaining generators and can attend to any on-site issues with our team of plant and machinery trained technicians. We have a dedicated team that is fully trained in dealing with generator engines and specific knowledge of the components and running gear of generators. We have been servicing and maintaining generators for years and have recently extended our services. 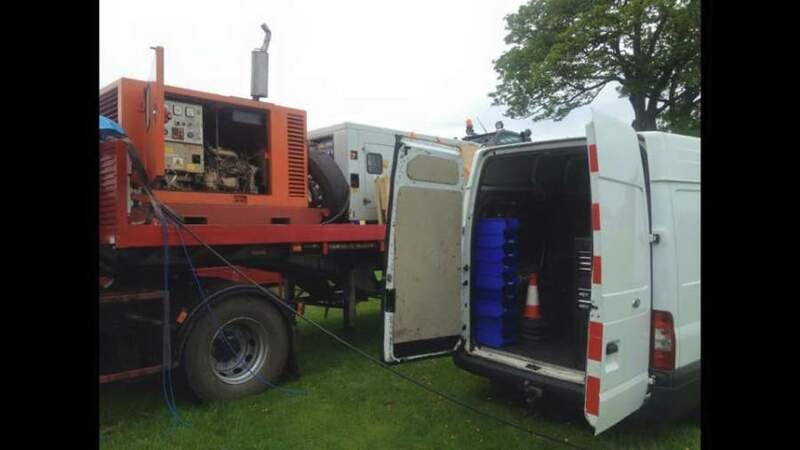 As well as maintaining and repairing generators used in building contract and maintenance work; we are also able to offer same day services and repairs for generators being used for leisure events such as festivals, town and village fetes, weddings and advertisement exhibitions. We have dealt with hundreds of onsite rewinds and responded to many generator breakdowns and know how essential it is to have power on site when you need it the most! What Fastlane Autocare can offer you and your generator? 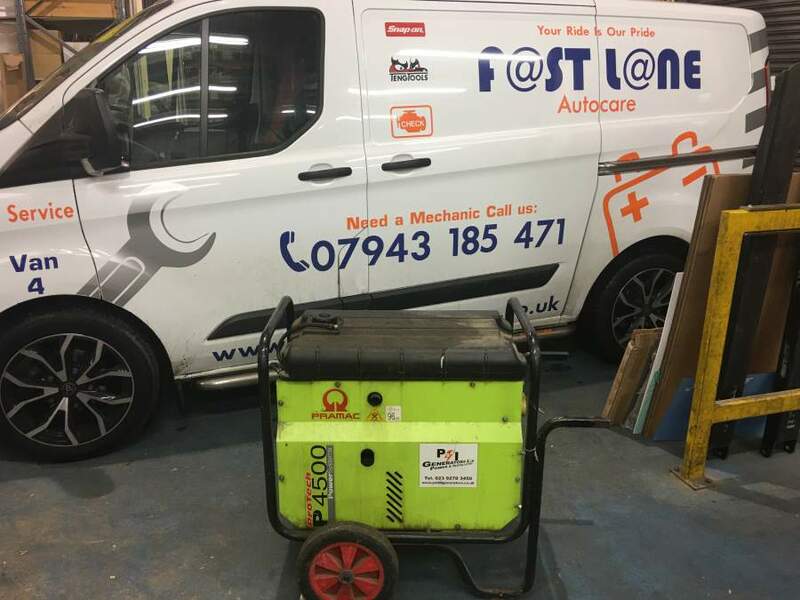 We offer onsite repair solutions for both trade and public alike, so whether you use a 44KVA generator as a building site power source a 5.5 KVA generator as a catering van power source or even a 3.5 KVA generator to power a caravan, you can be sure that Fastlane Autocare is here to help with any of your generator needs. We carry many parts for modern generators and can also order in parts for rarer generators from our suppliers. We can also offer diagnostics on newer generators. We can install automatic startup systems that can even be used from your mobile phone! if you have a generator on a site and you would like to start it up before you arrive, we can install automatic generator start-up systems in just a few hours! Even if you are not sure what's wrong with your generator, you can be certain that Fastlane Autocare will resolve the problem in no time at all. Our generator repair team are on hand ready to assist you 24 hours a day, 7 days a week! We have branches all over the North West. Each of our branches is equipped to deal with any repairs you may need for your generator. Our branches are ready to help get you moving again! We have branches in Stockport, Congleton, Trafford, Manchester, Liverpool, Southport, Runcorn, Atherton, Wirral, Chester, Lymm, Cheshire, Radcliffe, Helsby, Leyland, Oldham, Queensferry, Skelmersdale, Swinton, Trafford, Walkden, Deeside, Middleton, Warrington, Denton, Hale, Chorley, Bury, Bolton, Warrington, Wigan and Widnes. In fact, any location in the North West where you need assistance with your generator, we are ready to help!